Boris Morros, the son of Mendel Moroz, was born in Saint Petersburg, Russia, on 1st January, 1891. He emigrated to the United States in 1922 and soon afterwards joined the American Communist Party. He moved to Hollywood and began working for Paramount Pictures as "a director of the musical sub-department of the firm's production department". In May 1934 Morros met Peter Gutzeit at the Soviet Consulate in New York City. He told Gutzeit that he was a movie director at Paramount Pictures and offered to assist Soviet organizations in the United States. Gutzeit reported back to Moscow that "during a conversation with Morros, I got the impression that he might be used to place our operatives in Paramount offices situated in every country and big city." Morros was handed over to Gaik Ovakimyan who asked Morros to place an NKVD operative in the Paramount office in Berlin. "Morros claimed that he was ready to arrange this when there was an opportunity... and that he would recommend this man as his good acquaintance." On 21st August 1934 Morros informed Ovakimyan that he would be able to do this as long as the agent was not Jewish. Eventually the Soviet agent, Vassily Zarubin, took the post and became one of those working in Nazi Germany. Morros now told Peter Gutzeit that he had been promoted to "director of the firm's entire production in Hollywood". Gutzeit reported to Moscow that "we asked Morros about taking one or two people for training in his studios." Gutzeit went to visit Morros in Hollywood. Gutzeit phoned him at his office and later recalled that "by the tone of his voice I felt he was not very pleased about my arrival." He carried out some research into Morros and discovered he was only "a director of the musical sub-department of the firm's production department". Morros admitted that he had lied about his power in the film industry. Gutzeit reported that Morros wanted to break with the NKVD. However, Gutzeit was not willing for him to do this and reported to Moscow: "We are not going to leave him, and in 2-3 months will meet with him again and seek the contribution he promised. 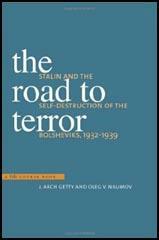 Gutzeit later reported: "Morros considers himself a political friend of the USSR and is ready to render any help he can. He was never paid. Due to the character of his work, Morros could be used as a talent-spotter for recruiting people he knows in Hollywood, who could be useful in our work and for providing covers for our illegals working in other countries... He has exceptionally wide connections among actors and movie people in Hollywood... Developing Morros's connections may yield interesting results." At that time the NKVD did not have a station in Hollywood and they were out of contact with Morros for two years. On 2nd November, 1940, Gaik Ovakimyan, the New York station chief, contacted Morros and proposed several ideas for activating him. However, it was only in December 1941, that Morros agreed to the request made by Vasssily Zarubin to organize covers for two Soviet "illegals". In exchange, Zarubin promised to assist his relatives living in Omsk and to grant his father, Mendel Moroz, an exit permit, allowing him to travel to the United States. Zarubin also arranged for the release from prison of two of his brothers, Yuli and Savely. Another brother, Alexander, had been executed in 1940. Morros also agreed to form a music publishing house in the United States funded by Alfred Stern, the husband of Martha Dodd. Stern agreed to invest $130,000 in the venture and Boris Morros agreed to put $62,000 in the Boris Morros Music Company. 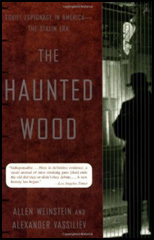 According to Allen Weinstein, the author of The Hunted Wood: Soviet Espionage in America (1999): "Using funds provided by the NKGB, Morros would establish a music publishing house in the United States - a business that could also serve as a cover for Soviet illegals... Soviet intelligence's adventure in the American commercial music industry was launched at a September 1944 meeting of Morros and Stern brokered by Zarubin." In 1944 Jack Soble became Morros new NKVD handler. It was suggested that Soble should be a co-owner of Boris Morros Music Company but the idea was rejected as he was still a Soviet citizen. 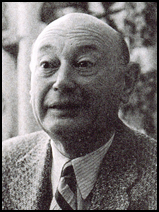 Soble complained about Morros: "Boris, having fallen for music, almost forgot about the main idea, i.e., that... music is only a means of fulfilling our central goal, that is penetration by providing cover identities to Soviet operatives into a number of countries neighboring the U.S. Publishing music would require an insignificant financial investment, and we could open branches wherever we need." The FBI became suspicious of Morros and in 1947 he was arrested. He agreed to become a double agent and provided information on the Soviet spy network. Jack Soble was eventually arrested and convicted on espionage charges and sentenced to seven years in prison. In testimony before the House Committee on Un-American Activities (HUAC) in 1957, he also named Alfred Stern and Martha Dodd as being part of a Soviet spy ring. In 1959 he published My Ten Years as a Counterspy. Boris Morros died in New York City on 8th January, 1963. He let me know that he had sold 75% of the record plant's shares... and that his son Richard... was now a partner in the firm. Personally, Morros had returned to the movie industry. He is preparing to release four films next year. If we want to work with him, he is ready to set up together with us a movie firm in the "Federal Film" system, which will produce these movies. $200,000 is needed for this. (Personally, I am sure that it can be done for an investment of $100,000.) This firm could open branches in any country for distributing these films, not drawing suspicion from authorities, since his name is sufficiently known both here and abroad. He has proposed me as a candidate for manager of the New York office since I know languages and foreign countries and come from a capitalist environment. He guarantees this business will be a success since movies are his craft. He is ready to give a guarantee that in due course money invested in this business will be returned with interest. He laid down two conditions: 1. Without Stern (he will not take him as a partner). 2. To give him an answer within a month. If there is no answer by the middle of January, he will consider himself free. Strong hands are needed to keep him within budgetary limits. Strict... and constant financial controls are necessary. But... he is an honest man and obeys our decisions. When I suggested that he return Alfred's money, without hesitation, he ... liquidated $100,000 of this debt within three months. Boris is not under suspicion, although as you know, there is an incredible "purge" of Reds going on in Hollywood now.... He travels everywhere, is on friendly terms with Cardinal Spellman, meets with the biggest cinema stars, and has countless acquaintances all over the world, but... is doing nothing with Soviet intelligence... and will be doing nothing if we don't take him into our hands. Jack Soble was certainly aware by the summer of 1953 that his life was in danger from Soviet intelligence. His anxieties increased later that summer when Martha Dodd - whom, along with her husband, Alfred Stern, Soble had supervised-made headlines as a possible target of Senator Joseph McCarthy's Red-hunting probe. Soble fretted, according to Morros's account to Moscow, that Dodd could identify and name him and had "become cowardly." In mid-December, however, Morros wrote Moscow that the McCarthy committee had begun to investigate Soble's activities in France but had failed to discover any incriminating evidence. Alfred K. Stern, a former Illinois housing administrator who was charged in 1957 with spying for the Soviet Union, died of cancer today in his Prague exile, his wife said. He was 88 years old. He is survived by his wife and son, Robert D. Stern. Alfred K. Stern, a multimillionaire businessman who was charged in 1957 with spying for the Soviet Union, died of cancer Monday in exile here, the Czechoslovak News Agency Ceteka reported. He was 88. Stern and his wife, Martha Dodd Stern, daughter of the last U.S. ambassador to Berlin before World War II, left the United States in 1957 after being accused of subversive activities. They had been accused before the House Committee on Un-American Activities of spying. Their accuser was Boris Morros, a film producer and U.S. undercover agent, and the subsequent federal grand jury indictment charged them with conspiring to act as Soviet agents, receiving American military, commercial and industrial information and transmitting it to the Soviet Union. They were alleged to have used their house at Ridgefield, Conn., for meetings with Soviet agents. The charges, consistently denied by the Sterns, were dropped 22 years later, in 1979, when the Department of Justice said witnesses considered essential to the case had died. Stern was born in Fargo, N.D, into a wealthy family. He served as chairman of the Illinois State Housing Commission and later as vice president of the National Assn. of Housing Officials and director and chairman of the Citizens Housing and Planning Council in New York. After the indictment, the Sterns went to Mexico, visited Prague in 1957 and after staying in the Soviet Union for about a year settled in Prague in 1958. Stern lived for a time in Cuba, acting as a personal adviser to Fidel Castro. He and his wife were also friendly with other Communist leaders, including Yugoslavia's Marshal Tito and China's Chairman Mao-Tse-tung. In Prague, Stern worked as a consultant to the ministry of construction, using his expertise in housing and construction technology.